We can help your company achieve its corporate social responsibility and marketing objectives whilst offering excellent fundraising, PR and team opportunities to help children and families in your local hospitals and hospices across the UK.  A partnership with us offers a unique opportunity to harness the brand power of Wallace & Gromit to inspire staff, engage customers and drive innovative PR and marketing opportunities in a cracking Charity of the Year partnership. We have fundraising for all to get involved in, from 10k races to cheese and cracker contests, skydives and overseas treks! We will work with you to develop an exciting calendar of events and a communication plan to help us both maximise the partnership potential. Together we raised over £350,000, engaging staff and customers across the country in support of their local hospital and hospice. The partnership was so successful we were voted to be Charity of the Year for two years. As Charity of the Year for two years, we worked with John Lewis partners across the country to raise over £250,000 in their most successful staff Charity of the Year partnership. Since 2010 we have worked in partnership to engage staff and customers in exciting events, challenges and our cracking Wallace & Gromit pasta, raising over £100,000! Wallace & Gromit’s Children’s Charity has been an absolute pleasure to work with. The charity is very pro-active, constantly creative and very committed to fundraising. There are always dedicated people on hand to keep things ticking along smoothly, to make sure ideas are fresh and fun and to completely take the stress and time out of organising any events/fundraising. The W&G team have been in constant contact with all of our stores up and down the country, as well as their local hospices, to provide support and to keep everyone up to date. Choosing Wallace & Gromit’s Children’s Charity as our Charity of the Year was one of the best decisions we ever made! Our Partners have been so engaged in our relationship, taking the cause to their hearts. I was delighted to have this opportunity to support the charity, because I know that every penny they raise is used to make a significant difference in the lives of sick children. If you have an inkling of a doubt about whether this is a good charity to support – put it out of your mind. They’re not just good, they’re great!